These words are taken from my grandfather’s poems. If we are lucky, we have the great honor of witnessing the lives of people, such as my grandfather, who embody what the great scriptures call morality, compassion, spirituality, knowledge and wisdom. It is difficult to illustrate the profound impact my grandfather had on those who knew him and it is equally difficult for me to express what he meant to me. If I were to take the Hindu approach, I would say that my grandfather and I are two souls whose friendship was born lifetimes ago and has continued through space, time and the manifestation of energy. 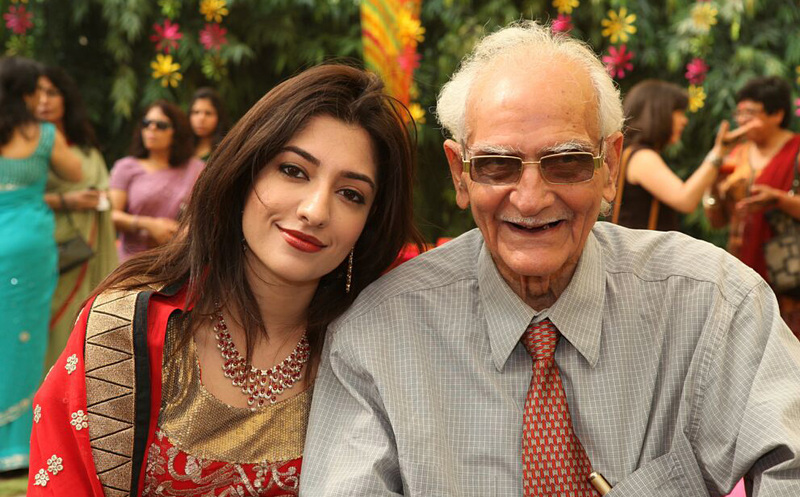 If I were to take the Christian approach, then my grandfather is my angel in life as he is in death. If I were to lose religion and pick up a poet’s pen, than I would describe him as my soul mate. In 2008 my grandfather was ill and wrote a poem about a dream he had in which he was a Banyan tree that was cut down. It was a dream about his mortality. Below is an exert from the email I sent him in response to his poem. My note expresses my sentiments of yesterday, today and always. Thank you for taking the time to read about my grandfather’s immortal spirit. My grandfather’s inspiration and teachings continue on forever but I’d like to share 10 lessons which describe his legacy and how he lived. Eight lessons are dedicated to each completed decade and two lessons represent each year of his 90s. One of the earliest lessons we learned from our grandfather was to be fiercely independent thinkers. As a scientist, he was rooted in rationality. He had a curious mind with great intellectual capacity. He lived to the beat of his own drum and rejected many traditional norms. He acknowledged that it takes work to live rooted in one’s rationality vs. follow the rules, but insisted that people must do so. My grandfather would often say that ‘the person who is not independent cannot dream of happiness’. He was independent in all aspects of life. He taught us to be self-reliant and depend only on our selves for happiness. 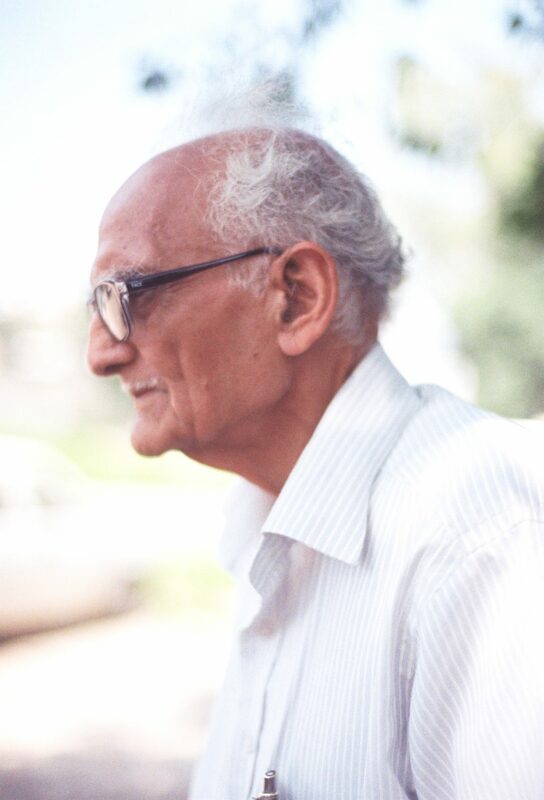 My grandfather was a pioneer in environmental conservation in India and the world. His career contained a single-minded focus to leave behind a sustainable world that is respectful of nature. He said that ‘people should not wait until they’re rich enough or have enough time, to help those less fortunate’. He believed in doing beneficial work in a respectable manner, while being of service to all beings. We often chuckle at how my grandfather adopted over 7 street dogs and fed many more in Dehradun. He would say that the priority in his household was first, animals, second, his helpers and lastly, himself. I recall quick store errands turning into hour-long events as my grandfather made friends everywhere he went. He was a vocal feminist and wrote essays about equal rights for women. He effortlessly practiced compassion in all aspects of life and treated all life as equal. He loved life so much that he contributed to it until his last days. After retirement, during the last 20 years, he kept using his expertise to further his field. I spoke to him a week before his hospitalization and he recounted how busy he was as a member of five environmental societies. In his 80s, my grandfather was a prolific and published writer. He pursued his interests and taught us to constantly work and contribute in a positive manner. My grandfather exercised every single day. In his 80s he was walking up to three miles a day in the rocky foothills of the Himalayas. He would tell us to govern the body based on scientific principles. He exercised his mind through his writing, work and voracious reading habit. He indulged himself because, as he wrote in a journal, ‘habits make a man healthy, wealthy and boring’ but maintained a healthy diet overall. Life, our planet and universe fascinated my grandfather. Two of his favorite books were ‘A Brief History of Time’ and ‘A Short History of Nearly Everything’, both are scientific explorations of the world around us. My grandfather wrote a poem called ‘Learn From the Child’ in which he said ‘acceptance has to be learnt in order to live in the present. Put a child anywhere, it will find its own playthings, and be happy. Curiosity brings the urge to learn, a child is full of insatiable curiosity. Innocence of the child is so endearing; how we wish we could retain it in adult life. Only the most spiritually advanced adults learn and exhibit natural innocence. Watch a child daily.’ This best summarizes how my grandfather lived. I recall a trip to a freshwater spring near Dehradun where our group refused to enter the slippery, cold water. Yet, my grandfather stripped down to shorts to jump across rocks, swim and meet new people. My grandfather rarely refused the chance for adventure. My grandfather showed us how to never fear change. He was born in 1923 and witnessed nearly 100 years of social, technological, political and physical evolution. He embraced all of it. At 92 he had mastered the use of a laptop, email correspondence and Facebook. In a poem he wrote: ‘do not live the dual life, one Yours, one Other’s. An Other, which we think is more suitable to the occasion. What is suitable for the occasion, is poison for the real self, your inherent, natural self. Know Thyself, and Be Thyself’ My grandfather showed us how living one’s truth benefits everyone. His many poems, essays, notes and letters stand as cherished memories and we are fortunate that he shared himself.